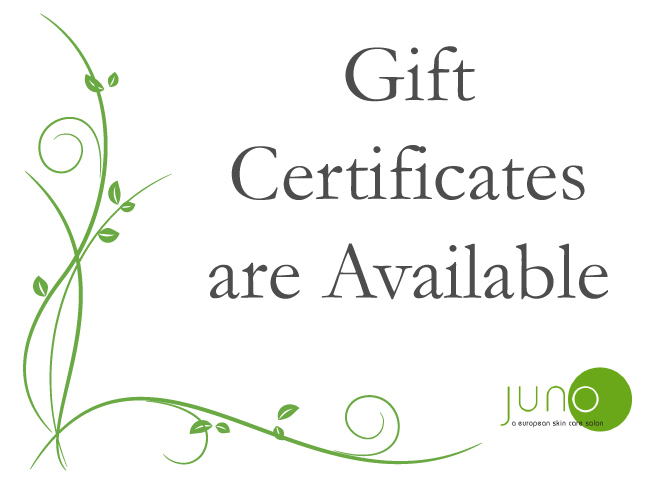 Juno – A European Skin Care Salon is Amarillo’s only authentic European skincare boutique. We offer specialized skin care treatments that pamper your face including steam, exfoliation, extraction, hydration, masks, peels, waxing, massage and more. We invite you to relax and enjoy a truly unique and timeless European tradition for women and men of all ages. Enjoy our comfortable and relaxing private suites, as we work to give you a soothing, fresh-faced glow that is sure to have your skin noticed as soon as you leave our doors. The Juno philosophy of skin care begins with customization. We understand that you and your skin are unique, therefore, no two facials will ever be alike. As a first-time guest, you will receive a free customized skincare analysis by our master esthetician that will be used as the foundation of your personalized facial treatment and after treatment care plan. With each visit we will get to know you and your skin at a deeper level and will recommend the best skin care regiment for your personal skin type as well as changing environmental conditions, ensuring you maintain beautiful skin for a lifetime.